This little girl is posing for the photographer in Kalamazoo, Michigan. 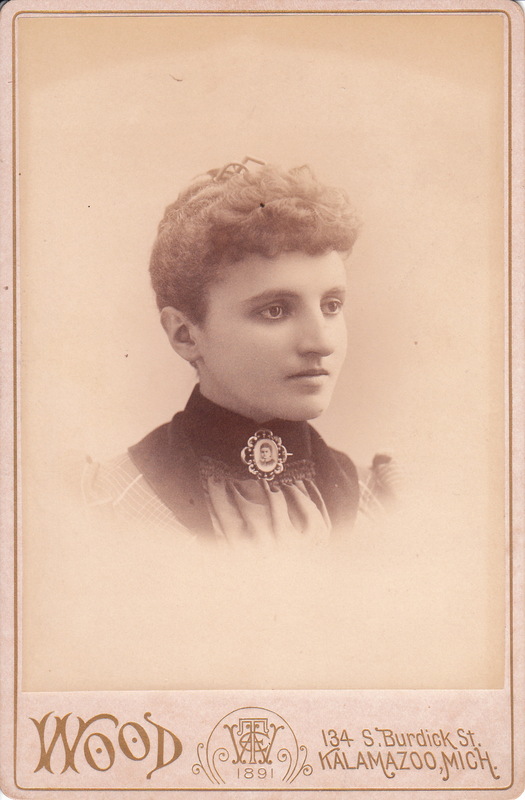 The photographer is Wood and the date on the front of the card indicates that the photograph was taken in 1890. This cute but serious little girl is wearing a dress with a tic tac toe design pattern. I think tic tacky toe is a better description but I do wonder if in the 1890’s someone besides this girl’s mother thought the dress was cute. Incidentally, the game of tic tac toe has been around for centuries. To view other photographs by Wood, click on the category “Photographer: Wood”.